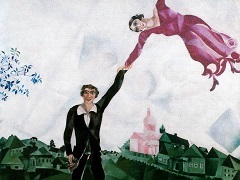 Chagall himself said he was a dreamer who never woke up. 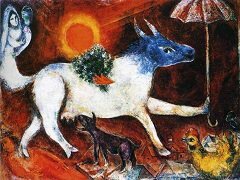 "Some art historians have sought to decrypt his symbols," says Jean-Michel Foray, director of the Marc Chagall Biblical Message Museum in Nice, "but there's no consensus on what they mean. We cannot interpret them because they are simply part of his world, like figures from a dream." 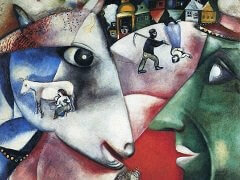 Pablo Picasso, his sometime friend and rival ("What a genius, that Picasso," Chagall once joked. "It's a pity he doesn't paint"), marveled at the Russian's feeling for light and the originality of his imagery. "I don't know where he gets those images. . . . " said Picasso. "He must have an angel in his head." 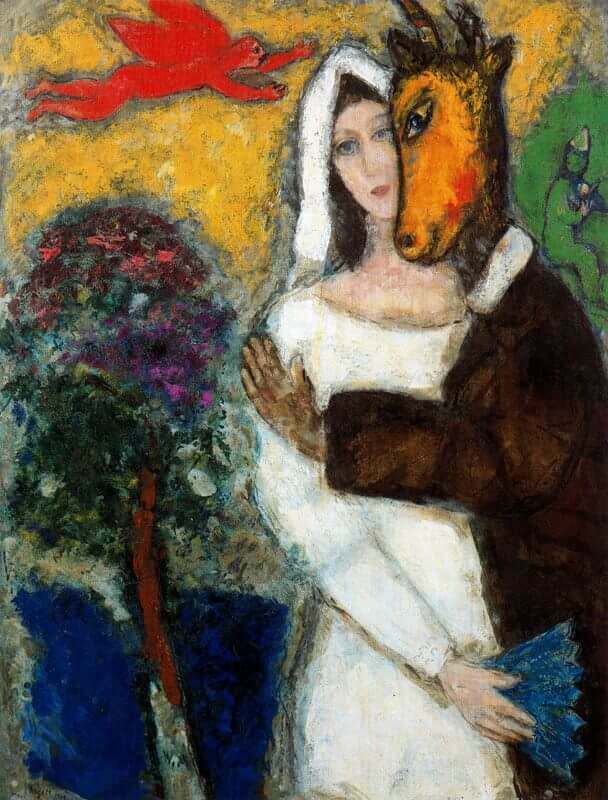 For a very long time, Marc Chagall would remain attached to his country of origin, Russia, and even if he spent the bulk of his life in France, first in Paris and then in Vence, in the south, he would return 'home' and carry out official functions between 1914 and 1922. 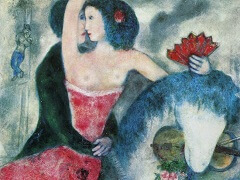 Among the bodies of work of the Ecole de Paris artists, Chagall's art remains imbued with a very personal philosophy and poetic force. The observation of day-to-day reality through the prism of Fauve and Cubist influences combined is conveyed by a "total lyrical explosion", to borrow Andre Breton's expression. 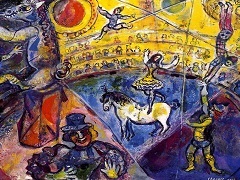 Chagall evolves from his inner reality towards a world encompassing figures which sidestep any verisimilitude, as for example in Midsummer Night's Dream. Painted during the artist's Parisian period, the theme of this picture is comedy of William Shakespeare, which the painter situated in a dream-like forest inhabited by sylphs and lovers. The bewitched queen of the fairies, Titania, falls for a donkey-headed weaver, Bottom. The woman clad in a white wedding gown and a veil recurs in almost identical form in several pictures from that period, sometimes with the same blue fan. 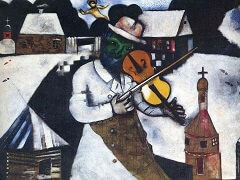 Winged beings and violinists are also often depicted.